The actress refutes claims that she was upset with her beau, rather it was her “resting face”. The image of the couple leaked from the shooting set the B’town grapevine abuzz. Alia Bhatt and Ranbir Kapoor's blooming relationship set the B'town abuzz! Both the A-list actors have been under the scrutiny of fans and media alike. 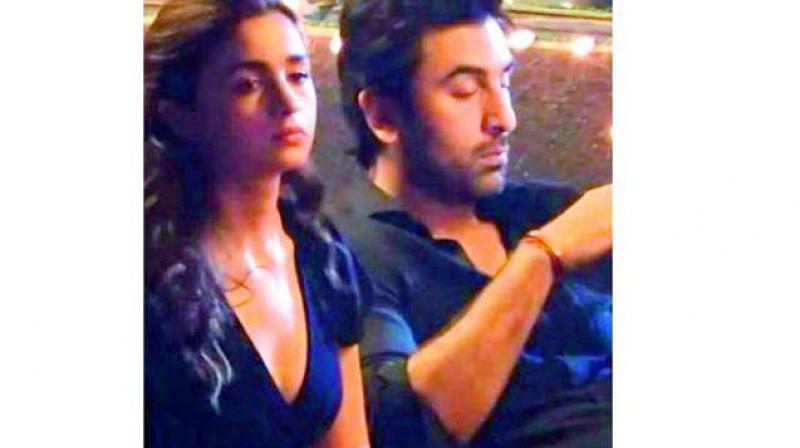 So when a picture of an upset Alia and indifferent Ranbir was leaked from the sets of Brahmastra, word spread that there was trouble in paradise. While neither of the love birds commented on the picture back then, Alia finally spoke up with a clarification. When asked about the much-talked about picture, at Kids’ Choice Awards, she said, “No! That’s my face, when I rest. It’s my resting face. I wasn’t upset at all. I am very happy and I’m a very happy person but that’s my resting face. Some people call me ‘Naani’ because of that I am always frowning. But, I wasn’t upset at all.” While the clarification, as reported by Pinkvilla.com, has finally arrived, it has not gone down well with the fans who still aren’t willing to believe that all is well between the couple.